The days are getting longer, the water is warming up and it’s time to get outside and take advantage of St. Augustine’s hospitable spring weather. 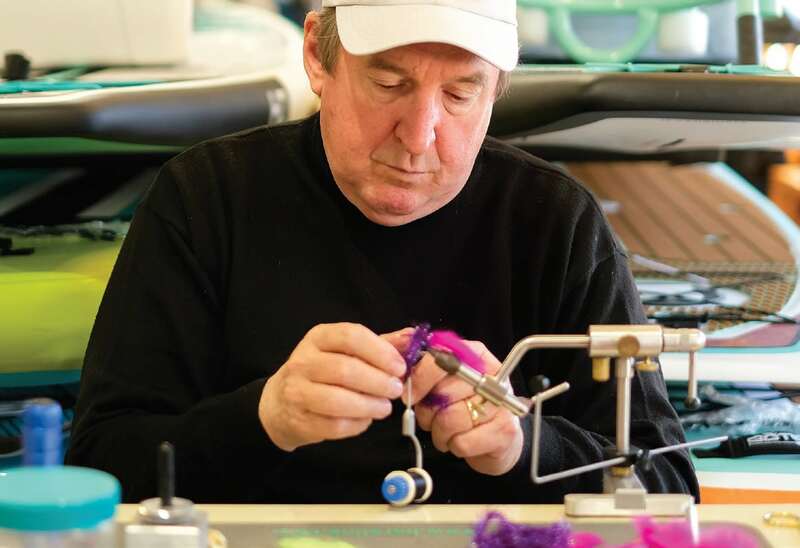 From redfish to tarpon to snook, Oyster Creek Outfitters is a one-stop-shop for all of your fly fishing needs. Originally named Saltwater Flytyers, which Reed opened back in 2007, Oyster Creek Outfitters is the result of a business that has expanded to include other outdoor lifestyle trends such as kayaking and stand up paddle boarding. Last May, when Reed opened his new 2,600-square-foot brick-and-mortar location on US 1 (near Oyster Creek), it only made sense to rebrand. After all, he was no longer just offering fly fishing gear. Born and raised in the South, Reed has been fishing for as long as he’s been walking. At age 12, he tried his hand at fly fishing and has been addicted ever since. 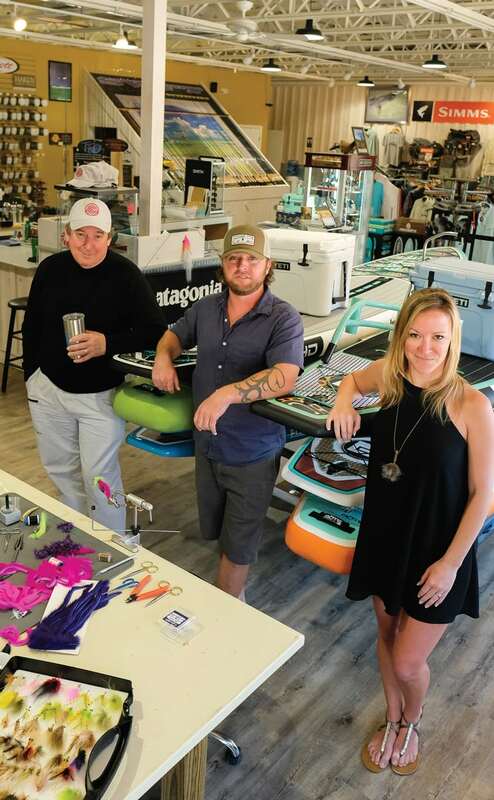 “We specialize in saltwater fly fishing, including trips to the Keys, sailfish flies for the west coast of Costa Rica and Mexico, South America to fish for exotic fish like arapaima and peacock bass…the list goes on and on,” Reed explains. 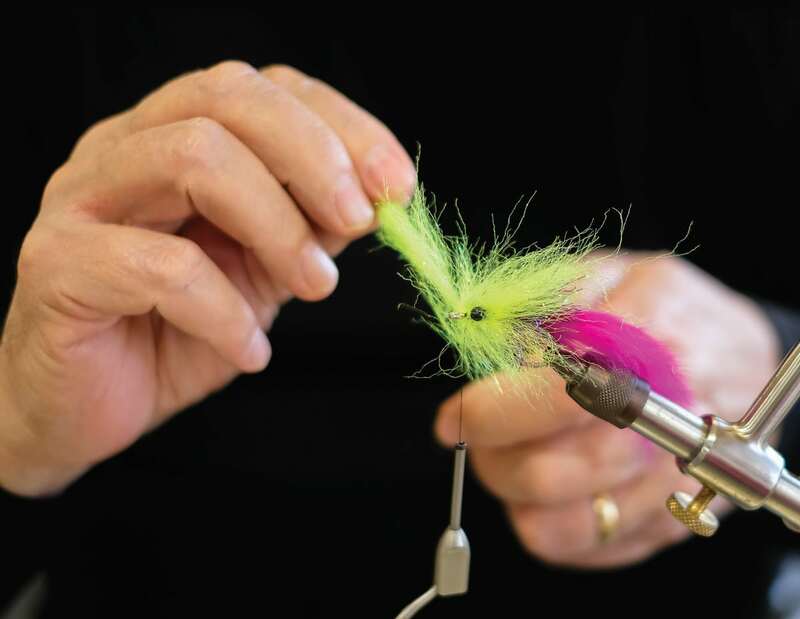 Aside from spending his efforts trying to get females more involved in the sport (the store offers quite a few products aimed toward women), Reed hosts a bi-monthly fly tying night every other Wednesday at 6 p.m. Check out the Oyster Creek Outfitters website for more information.